Since the publication in mid-January of the second report on educational outcomes using national administrative data was published, the Foundation Phase has been under considerable media scrutiny. Over the past three years WISERD has undertaken an independent evaluation for the Welsh Government of the Foundation Phase for three to seven year olds in Wales, and will soon be making its final conclusions and recommendations within the next few months. By the end of the evaluation the evaluation team will also have produced over eighteen reports and briefings, each focusing on a particular aspect of the Foundation Phase and our research findings. Publishing findings during the course of the evaluation has been important for many reasons. It is often important to ensure that findings are quickly and immediately available to those involved in the delivery and teaching of the Foundation Phase. Publishing regular findings has also been helpful in encouraging discussion and debate about the Foundation Phase that the evaluation can then focus on in the rest of our work. It also helps to generate interest in and enthusiasm for the evaluation. Many media outlets have already picked up on the preliminary findings, and questions have already been put to First Minister Carwyn Jones on the subject during the recent First Minister’s Questions. 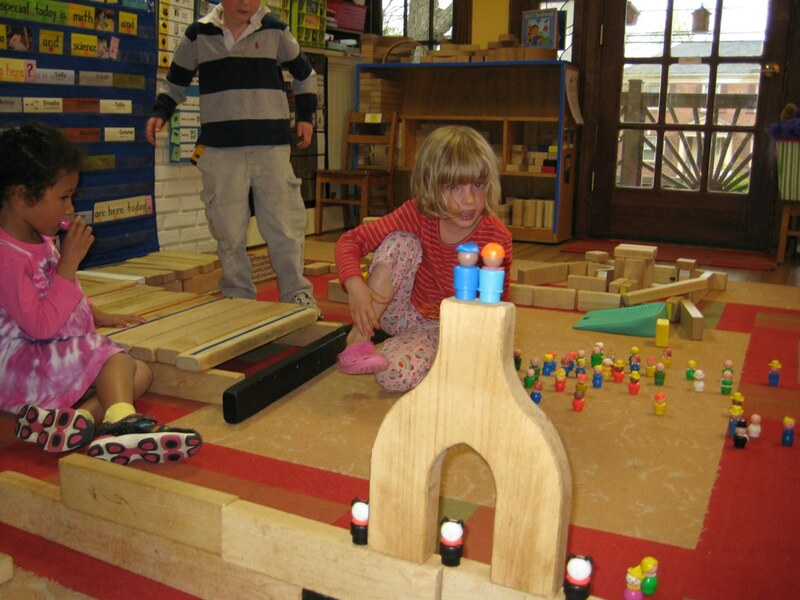 Children are given opportunities to explore the world around them and understand how things work by taking part in practical activities relevant to their developmental stage. However, a downside of this approach is that research findings can often be seen out of context and without consideration of the wider outcomes of the evaluation. The main focus in the media’s reporting of this report was that the Foundation Phase did not seem to be associated with a reduction in differences in attainment between particular groups of pupils. Whilst this is a very important and concerning finding the reporting of this dilutes the overall finding that the Foundation Phase seems to be associated with significant improvements in children’s attendance at school and in their educational achievements by the time they leave primary school. Critically, these improvements are evident for all groups of pupils. Whilst ‘gaps’ in achievement may not be reducing this does not necessarily mean that traditionally low achieving groups of children are not benefiting from the Foundation Phase. Whilst a three-year and relatively well-funded evaluation into a flagship Welsh Government education policy must be welcomed and should help make significant improvements in early years education in Wales, it is important to also stress that such evaluations have to be necessarily broad and wide-ranging. This can often mean that there are areas where our understanding is still in its infancy. This is particularly the case in relation to the impact of the Foundation Phase on addressing inequalities in attainment of pupils from low-income families and in the increasing low levels of achievement of boys. What is particularly striking about this is that many early years academics would have thought that the Foundation Phase should be particularly conducive for raising the attainment of these groups of children. Indeed, the evaluation finds that many practitioners believe that it has benefited these groups more than other groups of learners. So why then do we see very little change in the relative success and progress of these groups? Of course, this highlights the limitations of pedagogical and curriculum reform to address such deep-seated inequalities. But it also stresses the limits of how we think pedagogy and curriculum benefits or impedes the educational achievement of young children in Wales. The Welsh Government will publish two more reports (Key Findings) from the evaluation on the 4th February. These are important summaries in their own right. One outlines how stakeholders, practitioners, parents and pupils see the future of the Foundation Phase, including areas that they think require improvement or further development. The other examines the role of the Foundation Phase and its associated pedagogies in the teaching and learning of literacy and numeracy – two areas at the heart of most of the Welsh Government’s education policies and priorities. All reports have been published by the Welsh Government and are available from their website. About the author: Professor Chris Taylor is Principal Investigator of the Foundation Phase evaluation, and the Co-Director of WISERD, based at Cardiff University.